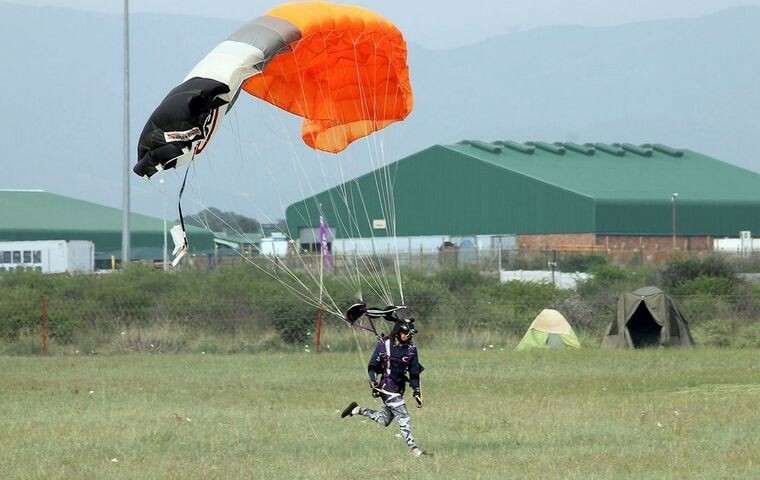 The National Skydiving Championships were held from the 28th March to the 2nd April 2018 at the Skydive Rustenburg facility at the Rustenburg airport. The judges for the competition were Claire King (Chief Judge), Dirk Venter, Bryetta Booyzen and Michael Panaino. The competition was held using two Atlas Angels. 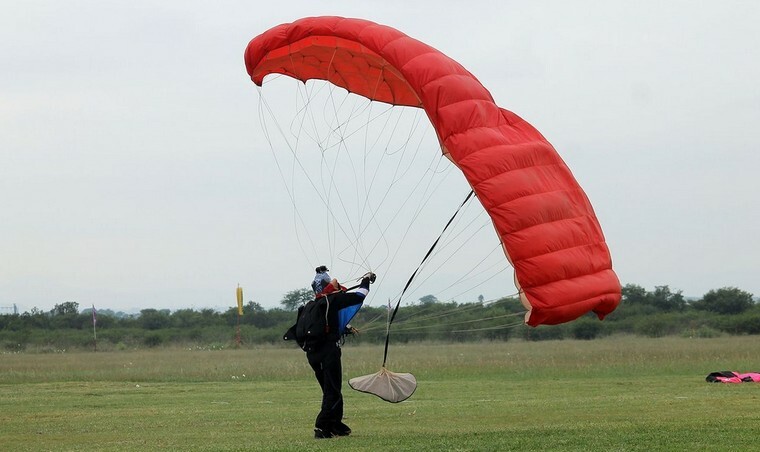 The versatility and lifting capabilities of these machines make it a firm choice for both the skydivers as well as the pilots that fly them. 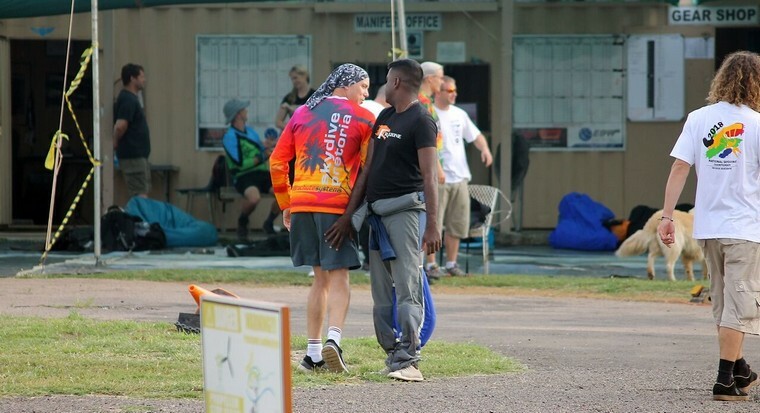 Skydive Rustenburg has exceptional facilities which include a restaurant, bar, swimming pool, viewing deck as well as dedicated parachute packing and rest areas. 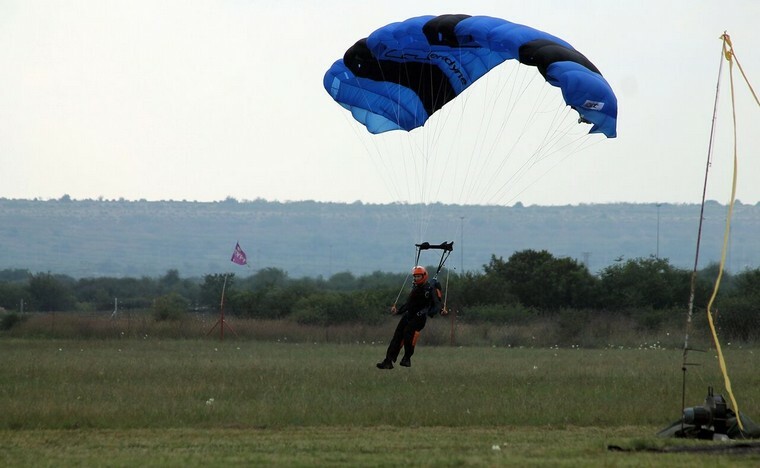 The contestants to the event also had the option of camping on the airfield or using the on-site chalets as provided by the operator of the drop-zone. Despite the weather placing a dampener on proceedings on the Friday during my visit, the competitors were all in good spirits with the prospect of getting the adrenalin pumping as soon as the low clouds cleared. As part of their preparations, the competitors conduct a walk-through of their routine before taking to the skies to impress the judges. 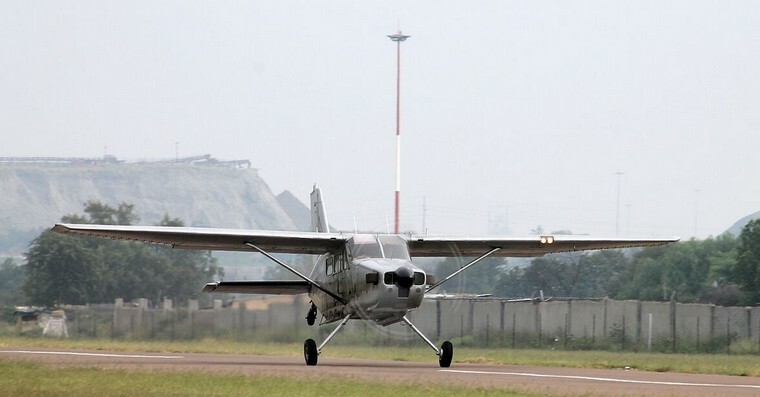 As the weather allowed, the skydiving teams boarded the Atlas Angel for their ride to altitude. Very soon after the drop was completed the characteristic sound of opening canopies could be heard and the colorful parachutes decorated the skies as well as the drop-zone landing area. 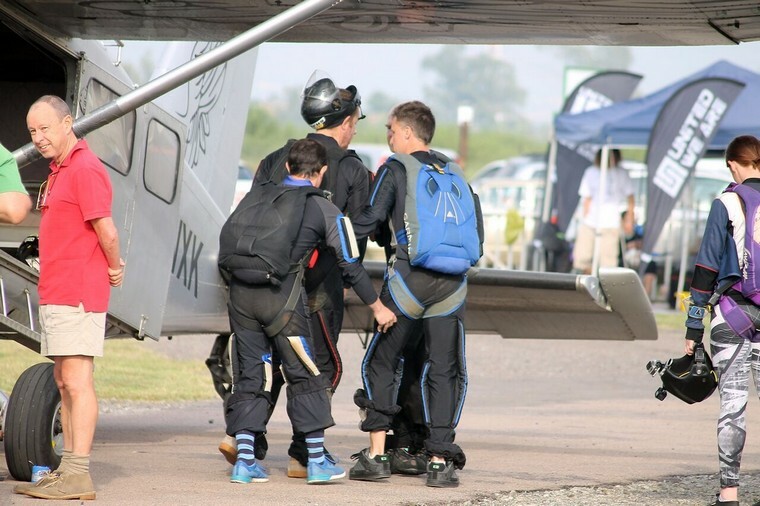 By all accounts the event was well supported with 11 disciplines on offer to be evaluated and well over 70 skydivers competing in the various team and individual events. 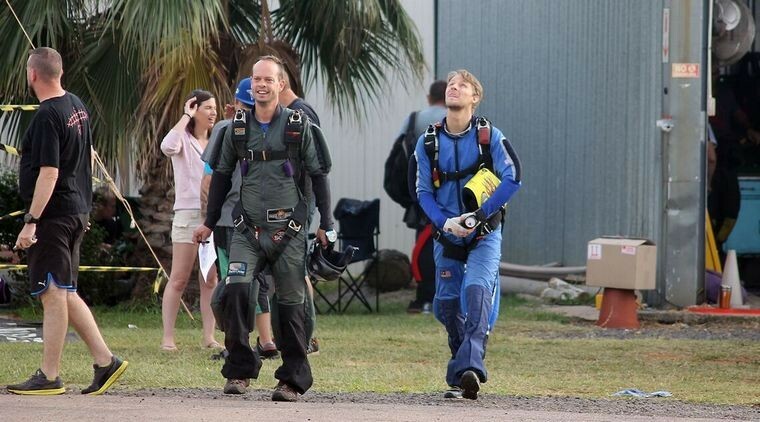 Formation Skydiving - 2-Way Novice:	1st Place SunBernt Sarmies. 2nd Place Suicide Squad. 3rd Place	Da Flying Squad. Formation Skydiving - 2 Way Open: 1st Place Professional Amateurs. 2nd Place Bromponie. 3rd Place Red Baron. Formation Skydiving - 4 Way Novice:	1st Place Bootielicious. 2nd Place Hokus Pokus. 3rd Place Breaking Wind. Formation Skydiving - 4 Way Intermediate: 1st Place 4 Tails. 2nd Place Burble Magnets. 3rd Place Spoeg en Plak 4. Formation Skydiving - 4 Way Open: 1st Place Savolo. 2nd Place Meraki. 3rd Place CIAD. Formation Skydiving - 8 Way Open: 1st Place Ragno.